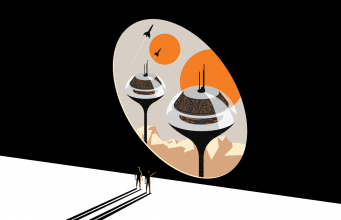 Decentraland is a virtual world that is using the Ethereum Blockchain to sell plots of virtual reality real estate. They’re selling an initial offering of the currency they call ‘MANA’, from August 8 to August 16, 2017, and they’ll have up to 2 million plots of virtual land that will be sold for 1000 MANA. They hope to create a virtual city with different thematic districts that will help with content discovery. The blockchain contract will contain a Bitorrent link or IPFS hash that contains the content for each virtual plot of land. They have a Unity plug-in, but are also planning on using A-Frame and other WebVR technologies to create their virtual city. They’ll be using using other blockchain technologies like district0x for secondary markets for reselling land, Aragon for distributed governance, uPort for self-sovereign identity, Ethereum Name Service for human readable names. More specific architectural details are described in their Decentraland Whitepaper. I had a chance to catch up with co-founders Ari Meilich and Esteban Ordano in San Francisco to talk about how Decentraland is using blockchain technologies to manage their virtual world, and why it’s important to create artificial scarcity to help with the discovery of virtual worlds. The post ‘Decentraland’ – Using Ethereum Blockchain ICO to Sell Virtual Real Estate appeared first on Road to VR.